Wired has just published an article about The Year’s 10 Craziest Ways to Hack the Earth, and #8 is a concept I use in my book AVATAR. 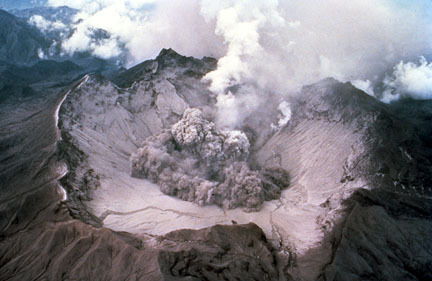 When Mount Pinatubo erupted in the Philippines in 1991 (left), it sent 10 million tons of sunlight-blocking, planet-cooling sulfur into the atmosphere. Many scientists, among them Nobel laureate Paul Crutzen, think we could duplicate nature’s feat. Using rockets, airplanes, giant guns and even man-made volcanoes to spew fine particles into the atmosphere could drop Earth’s temperatures to early-20th century levels within a decade. In AVATAR the planet Ico exists in a binary star system, the larger sun being similar to Sol, while the smaller one is a long-period variable star that flares about every 20 years. That flare cycle is long compared to the year most are known to cycle, but I should be entitled to a little journalistic license, yes? The twist on this in AVATAR is that the particulates are made up of buckminster fullerene particles, which are hollow carbon spheres filled with good things for the environment. Supposedly. I guess you’ll have to read to find out. The planet’s indigenous people, the Iconnu, aren’t particularly thrilled with this high-tech solution when their own low-tech one has been working for generations: take refuge in the multitude of caves that exist in the mountains. Plus, blocking all that radiation will actually upset the lifecycle of an important protective plant called bloodstar, a substance that has worked its way into almost every human, animal and plant on the planet. Just when I think I never want to write another complicated story like this again, science reminds me how cool it is.